EA recently announced that Kyrie Irving will be the official cover athlete of NBA Live 14 when the game launches this fall on Xbox One and PlayStation 4! 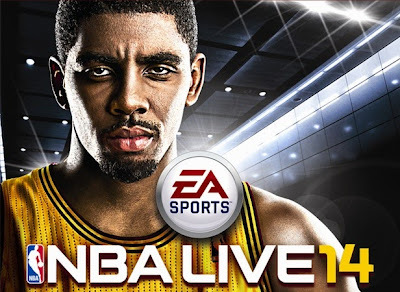 The first overall pick in the 2011 NBA Draft, Irving was named the 2011-12 NBA Rookie of the Year and was a unanimous choice to the 2012 NBA All-Rookie First Team. He was also named an NBA All-Star in 2013 and is the reigning Foot Locker Three-Point Shootout champion. 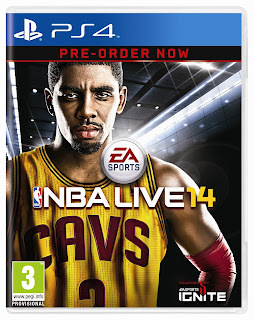 NBA Live 14 gives fans the chance to control the court with revolutionary new bounceTek ball physics, providing a level of control and precision never before seen in a basketball video game. 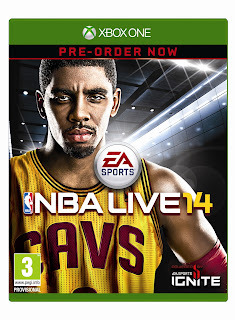 Additionally, with the power of Ignite, NBA Live 14 will deliver True Player Motion, Human Intelligence and Living Worlds to the hardwood. More details on NBA Live 14, including information on game modes, features and more, will be coming soon. See box art for both versions below! (Clicking on an image triggers the gallery for easier viewing).